The Economist speaks with J.A. 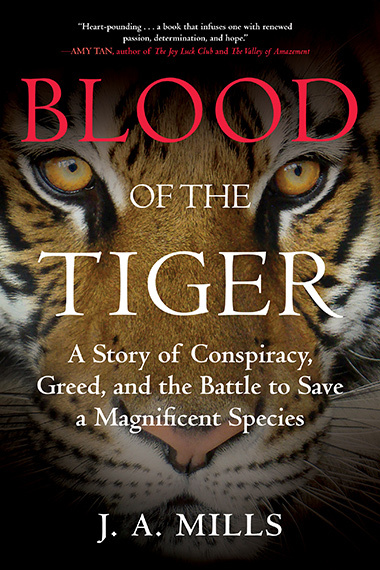 Mills about solutions to the misuse of traditional Chinese medicine that is fueling the poaching of tigers and other endangered species. Scientific American talks to J.A. Mills about why a reported increase in numbers does not mean we should stop worrying about wild tigers. Scientific American asks J.A. Mills about U.S. decision to regulate interstate trade in all captive tigers—a major step toward ensuring U.S. tigers do not stimulate trafficking of wild tiger parts and products as China’s tiger farms do. National Geographic talks with J.A. Mills about Sharon Guynup’s exposé on Buddhist temple in Thailand involved in feeding tigers and their skins, bones and meat into the illegal international trade that is stimulating poaching of wild tigers.